Would you like to find out more about how to get the best out of the Dynamics Learning Portal (DLP)? Microsoft have agreed to run a virtual demo of the DLP functionality and benefits for the 365 Freelance members. The DLP is an amazing Microsoft training resource which, until now, was only available to Microsoft employees or Dynamics Partners. 365 Freelance are the first company to partner with Microsoft to offer this service to individual, independent Dynamics consultants. What are the benefits of the DLP? Exam Preparation Guide – access multiple courses and instructor led training to help you pass all the Dynamics certification exams. When will the demo take place? The virtual demo of DLP will be held on May 5th 2015 at 2:00 pm GMT. What if I don’t have access to the DLP? 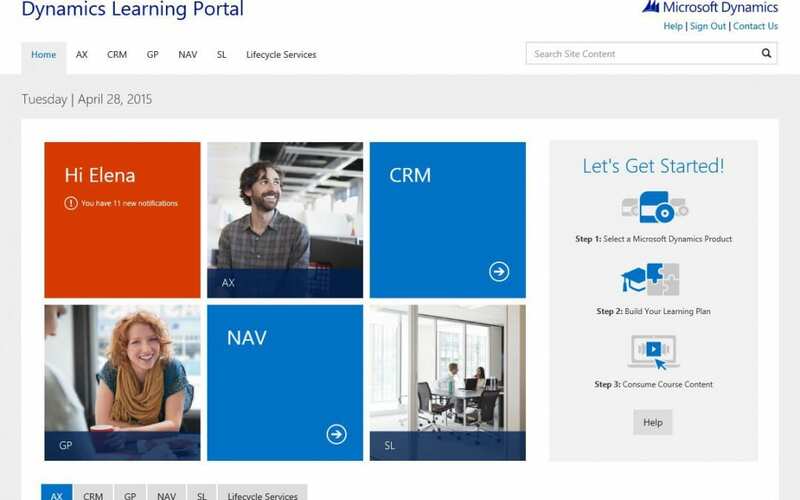 If you are an independent consultant who doesn’t have DLP access, 365 Talent Portal can provide you with free specialised Microsoft training and professional resources. How do I register for the demo? To register for the demo, email us at info@365freelance.com and we’ll add you to the schedule. We hope to see many of you join us for this great event.